Marlowe Compli is a cloud hosted ﬁre alarm management system that has been designed to make it easy for you to access, manage and control the performance of your ﬁre alarm system at any time and from anywhere. Marlowe Compli is compatible with most UK analogue addressable ﬁre alarm control panels and provides you with transparent and detailed reporting. The innovative application records all ﬁre alarm activity to a secure cloud hosted database to provide you with comprehensive platform for compliance and auditing, replacing the need for a conventional ﬁre log book. Connection to Marlowe Compli is simple and can be completed within a matter of minutes. 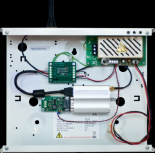 On the next scheduled maintenance visit, a FAFS Fire & Security Engineer will install a GPRS Gateway to your Fire Alarm panel. The Gateway provides a secure connection from the Fire Alarm panel to Marlowe Compli, ensuring a direct line of communication is maintained and all information is recorded within the secure and robust cloud platform. Installation of the Gateway is simple and non-intrusive and will have no impact on the performance of your Fire Alarm panel or the panel’s conformance to British Standards. Once connected, Marlowe Compli records all Fire Alarm activity to a cloud based platform that can be accessed from any web enabled device. 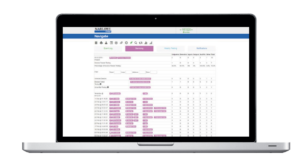 Within the portal you can view a comprehensive overview of your system, including a detailed maintenance service schedule and live asset list. into an easy to download Excel document. Compli will create an online asset list for all Fire Alarm components, quantifying and detailing each Panel, Loop and Device, it is also possible to incorporate commentary and photos for further information. This information will be available through the online portal and will update as the system develops. Compli will record the schedule of planned preventative maintenance visits. Using the detail from the asset list, each unique device test will be recorded within a collective service report, providing a complete log of which devices have been tested within a speciﬁc service period. Ensuring your compliance to BS 5839-1. To further the connectivity of Marlowe Compli a number of phone applications have been developed to improve the performance of your Fire Alarm. With Marlowe Compli every element of your Fire Alarm is stored in one place and your information is secure, protected and accessible. Marlowe Compli is available for all our Customers and has been created to be ﬂexible to suit your business needs.